Orlando clients express their appreciation for attorney Reed Bloodworth and the collaborative way in which he works with them. 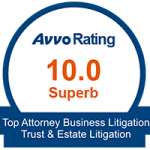 Strong communications and a positive working relationship help relieve the pressure legal cases can put on clients. This client made my day with the testimonial video he provided. I shared it on my YouTube channel. He talked about what a lot of people express to me: communication matters. The first time you work with an attorney it is important to have good channels of communications. 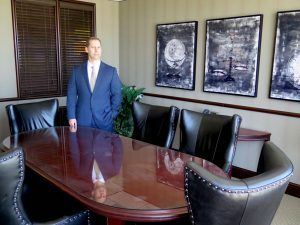 In this video, Reed’s client stresses the importance of working with an attorney who has strong communications skills that allows the creation of a professional working environment. Every legal situation requires the client to share details, dates and specifics so that Reed can pursue the case accordingly. Successful collaboration with an attorney is dependent on strong communications. The ability to share information accurately and quickly has a positive impact on development of the strategy needed to move the case into the courts. Working with an experienced attorney should not be stressful. It should eliminate some of the stress that often accompanies many legal cases. This client says that working with Reed was “smooth and collaborative” and that there was very little pressure on him. The relationship between client and attorney is often one of a team, so having an attorney who is a strong communicator is so important. When you can develop a positive feeling of team, the flow of information is easier, the pressure is relieved and the attorney can work toward a successful outcome. Referrals, testimonials and recommendations are some of the most effective ways of finding the right attorney to handle your case. Reed Bloodworth takes pride in the relationships he develops with his clients and their willingness to share their experience with others.